In Encounters With Jesus, New York Times bestselling author and renowned pastor Timothy Keller shows how people were changed when they met Jesus personally - and how we can be changed today through our own encounter with him. Jesus changed the life of every person he met in the Gospels, through powerful experiences and words that led them to unexpected and transforming answers to their big questions. These conversations can still address our questions and doubts today. Encounters with Jesus focuses on several of these meetings - including with a skeptical student, a religious insider, an outcast, even Jesus' mother - and tells how the central events in Jesus' life provide ways for us to encounter him again or for the first time. 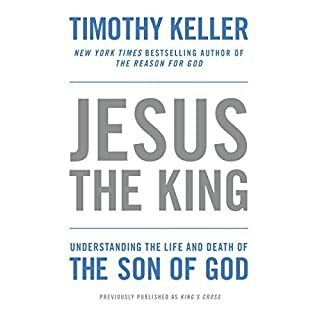 Timothy Keller has taken my understanding of the life and finished work of JESUS CHRIST to an entirely different level. . .I am deeply grateful for the way Mr. Keller has allowed GOD to use his life and writing to bring much glory to the LORD. This is a great book for Believers and unbelievers alike. 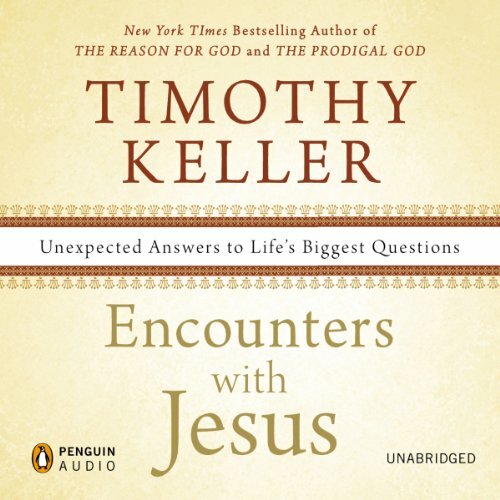 Whether you are a Christian or not you should read Timothy Keller's Encounters With Jesus. What made the experience of listening to Encounters with Jesus the most enjoyable? Lloyd James was an excellent narrator, making the author's intent very clear. Keller's writing is crisp and gets to the points quickly with little fanfare, yet thoroughly lays out the foundation for his perspective. It's plain to me he's done his homework well. What was one of the most memorable moments of Encounters with Jesus? 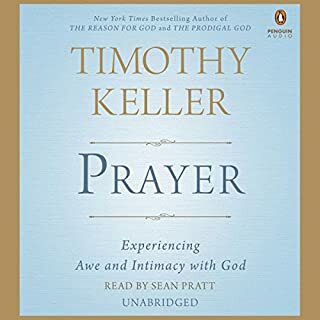 When Keller made clear the real role of the Holy Spirit as the "Second Advocate" and explaining clearly Jesus's role as the First Advocate and how the two Advocate roles are interconnected to make bring me to a spiritual bonding with God. He is accurate and vocally clear, while bringing a sense of ownership and empathy to his role as narrator. Would you listen to Encounters with Jesus again? Why? Yes. Very insightful, well-written, and encouraging ! Which character – as performed by Lloyd James – was your favorite? The entire series of encounters with Jesus. This can easily be paired with The Prodigal God for more insight & encouragement. Enjoyed this tremendously. Can't wait to share it with some good friends who have questions about Jesus. Keller does a masterful job making Jesus relevant to us today. He introduces the Christ who wants a personal relationship us and who answers life's biggest questions. 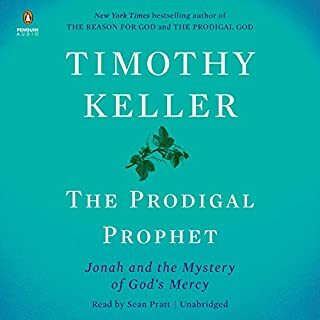 I have known Tim Keller since before he was published and am glad to say that he has done a great job of bringing Biblical truths to many skeptics in a winsome, erudite way. This book is certainly one of his finest yet. Insightful teaching on the person and work of Jesus Christ. 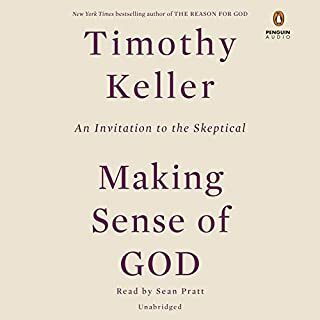 Tim Keller is a master communicator and writer. Thank you. Mike Larsen, Lead Pastor at Encounter Christian Church in Bellflower Ca. I discovered this book just at the right time! I am at a stage in my spiritual walk where I am dealing with belief, trust, ego, doubt and what they mean. I have never received an understanding of the scriptures like this book opened me up to. I have never had as meaningful an encounter of the nature of Jesus, as I did from this book. There is so beauty in the bible prose, so many layers of absolute meaningful symbolisms and truths that I am now aware of! 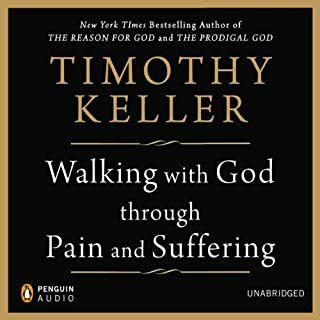 Thanks Tim Keller for writing this book. Thanks to the narrator for doing such a good job! And thank you God for the line of writers you inspire and give revelation to. I see the place you are bringing me to and I'll keep pressing on!